Valleywide Representation for all Your Real Estate Needs! In today's challenging real estate market, selecting the right real estate agent is crucial. It can make all the difference in the world. 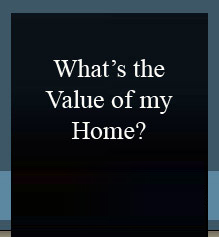 Whether you're planning on buying, selling, or you just have a question, feel free to call me, Carolyn Irby. Whether buying or selling, it is my goal that your needs and expectations will be surpassed at every step. Every customer and every transaction is unique. I adapt to that uniqueness and ensure the best results possible. I am dedicated to providing uncompromising customer service. My conscientious and consistent service is distinguished by personal and customized attention, dependability, follow-up and integrity. I represent Buyers and Sellers throughout the Valley, having experience in the East and West Valleys plus Scottsdale and Phoenix. I will search wherever the client desires to ultimately find the perfect home. Coldwell Banker Residential Brokerage, the industry leader in real estate, backs my expertise, providing the best support tools available to market your home aggressively or help you find your new one. I'm ready to assist you in any way possible. Offered for $1,250,000, this luxurious home is an incredible oasis perfect for the coveted Arizona lifestyle. For a personal tour of this home, please contact me.